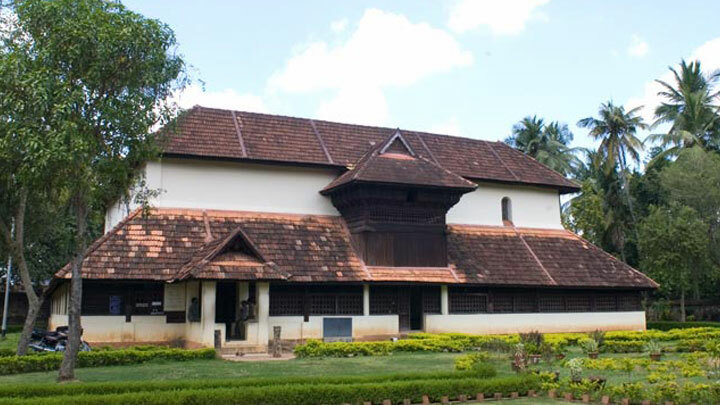 The Koyikkal Palace was built for Umayamma Rani of the Venad Royal Family between 1677 and 1684. Today however, it is famous as a Folklore Museum and a Numismatics Museum. Its unique antique collection provides one with a valuable insight into the past of Kerala and it attracts people from across the State on a regular basis. That palace itself is a double storied structure famous for its distinct gabled roofs. The Folklore Museum was setup in 1992 and boasts of musical instruments, household utensils and models of folk arts among others. People are reminded that this is the only place in the State where one can see a Chandravalayam. This small percussion instrument is played while reciting the ballad Ramakathappattu (the story of Lord Rama). It also contains old manuscripts along with ornaments and decor items used by the erstwhile Royal family. The Numismatic Museum is another unique centre as one can view its rare coin collection and gain insight into Kerala’s trade relations of the past with many different countries. It has some of the oldest coins of Kerala – Ottaputhen, Erattaputhen and Kaliyugarayan Panam. A rare coin presented to Jesus Christ himself, Amaida, also finds itself placed here. 2500 year old Karsha coins, Rasi coins (the smallest in the world), coins belonging to the Roman Empire and those used by a wide variety of dynasties across India, can be seen here. It is a veritable treasure trove of history.